Plenty of bathroom and kitchen designs for 2019 have been presented this season, and the latest new design trends include bathroom and kitchen coverings in classic modern style. Just a few carefully selected items make for a highly functional, comfortable space. Maintaining continuity with recent years, these properties pursue the search for a personal style, unostentatious elegance, a desire for cosiness and an attempt to achieve optimal well-being, expressed not only in the atmospheres created but in the attention to detail revealed primarily in such domestic spaces as the bathroom and the kitchen. These aspects are related to people’s familiar, personal dimension, making them relevant at all latitudes and times. It should come as no surprise, then, to see that the variety of styles that have emerged over the years (from vintage to Nordic, and from industrial to shabby chic) often draws inspiration from the shapes and volumes of the past, coming up with new versions of their shapes, textures and colours. This is the case of many materials and effects that have emerged in mainstream design over the past few seasons, such as copper, brass, fabrics, stone and iron. In 2019, bathrooms and kitchens continue to explore the new expressiveness of surfaces of all kinds: floors, walls, tables, and kitchen and bathroom countertops are becoming increasingly important as elements of design, not just coverings, becoming an integral part of today’s new architectural designs and renovation projects. The properties of high-tech ceramic materials such as through-coloured porcelain permit levels of technical and aesthetic performance that were once unthinkable. Just think, for example, of the technical potential offered by porcelain maxi-slabs; large slabs of very low thickness permitting unification of spaces that were once kept separate (the living room and the kitchen, the interior and the garden) with major visual and perceptive impact, significantly influencing overall light levels in the home. In aesthetic terms, porcelain permits reproduction of all those materials with a lived-in look (wood, resins, cement, metal and fabrics are just a few of the possibilities that can be replaced in high-tech porcelain coverings) that go so well with styles with a handcrafted flavour inspired by the past. 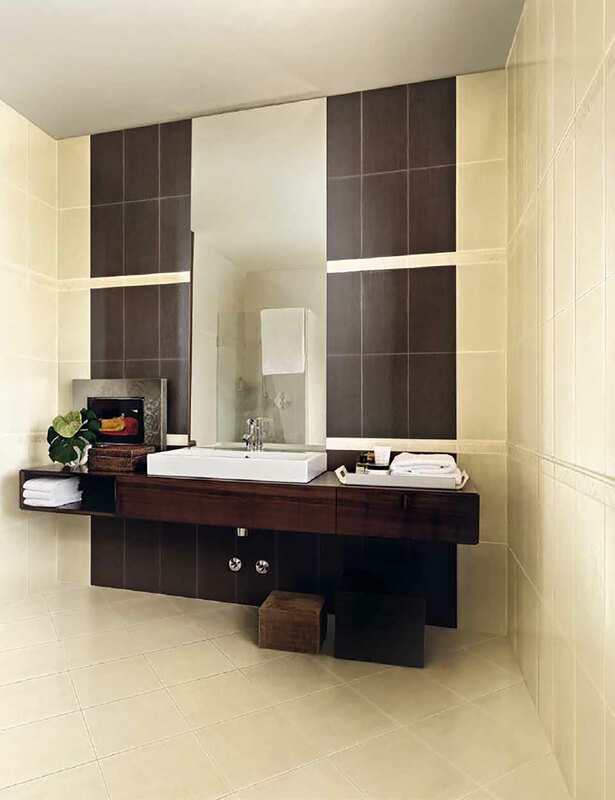 Iris Ceramica has been a prominent world-class maker of ceramics since 1961: Iris floor and wall coverings "have made a mark on the age with collections that have gone down in history and received international awards and recognition". 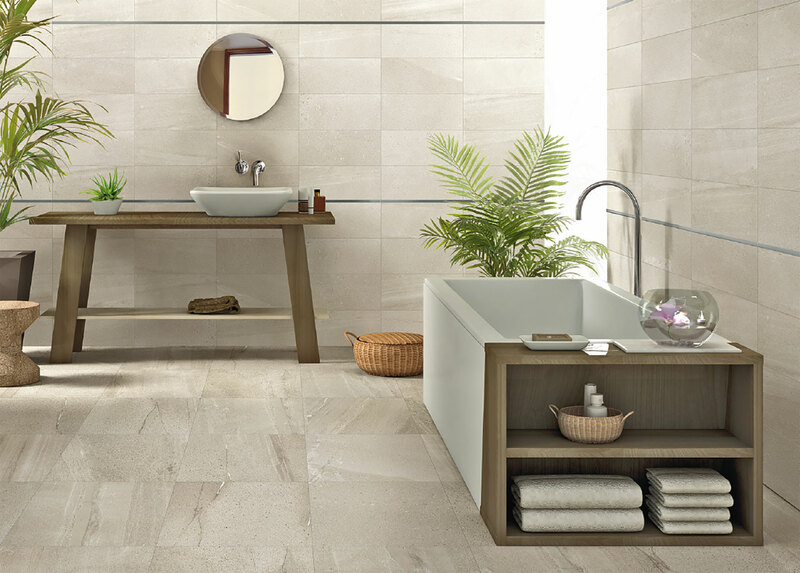 In the vast range of its collections, numerous Iris Ceramica porcelain floor and wall coverings make ideal surfaces for this season’s trends, such as Desire, Roccia and Teorema, presented in the photo gallery here. Desire and Roccia are bold, versatile coverings with a textured look that gives spaces "a balanced, timeless style" with their original hues and surprising details inspired by rocks and cement. With the texture of cloth and pale colours (Bianco, Beige, Perla and Salvia), Teorema offers a variety of atmospheres to create a harmonious look throughout the home with its simple, delicate texture. All three collections share balanced design, making them the ideal surfaces for the bathroom and kitchen, while offering a vast range of colour choices. Their classic look and contemporary soul makes these materials appropriate for any style, offering the perfect covering solution for contemporary design.